Welcome to Park Academy Childcare Bray! My name is Sophie and I joined the Park Academy Childcare team in 2018, having worked in the childcare and education industry for 14 years previous. I moved to Ireland after working in Childcare Management in Western Australia and am delighted to now be a part of a fantastic team of Early Years Educator’s who are truly passionate about what they do. I am also delighted to have the opportunity to contribute my knowledge and previous experience in childcare. I look forward to being part of the children’s journeys and to providing a safe, loving and stimulating learning environment for them each day. One minute it’s learning about animals or the seasons, the next it’s creating a costume or doing some carpentry. 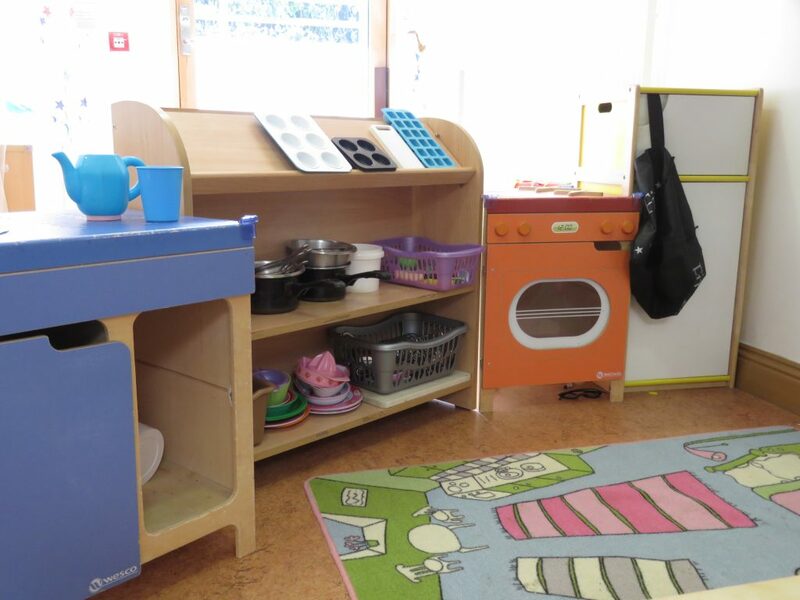 You see Park Academy Childcare Bray is a very special place for young learners and its ethos reflects a new and innovative approach to childcare. Children start in the beautiful baby room, a space that is both cosy and inviting. With its soft carpets and ample floor space, our babies are free to roam and to practice crawling or walking, depending on their developmental stage. Our baby ‘Bunnies’ and ‘Butterflies’ receive lots of attention and stimulation, through activities such as sensory play, music and arts & crafts. 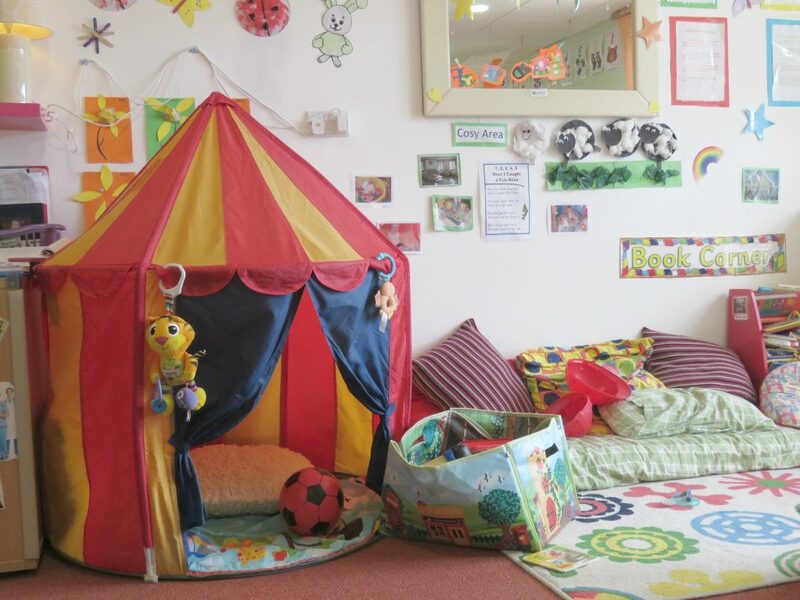 Once they are ready, it’s time to move on to the ‘Jellytots’ room where children are encouraged to explore their new environment and develop their independence. The ‘Jellytots’ room is a hub of activity and children get lots of opportunities every day to engage in creative and imaginative play . This type of play is vital for toddler’s development and our ‘Jellytots’ just love to paint, dress up and become absorbed in role play at the various imagination stations. After that it’s on to the ‘Rascals’ room where children continue to learn and grow, developing important social skills through cooperative group play. Our little ‘Rascals’ are an active bunch and they love to spend time outdoors in their own special garden, where they can run, jump and play together. They also love to get messy, whether that’s through experimenting with paint or exploring different textures during messy play time. From ‘Rascals’ children progress on to our pre-school classes and our ‘Appledrops’ and ‘Smarties’ sure are a curious bunch! Our Early Years Educators love to capitalize on the children’s natural enthusiasm for learning and are constantly facilitating them to become educated about the world around them. 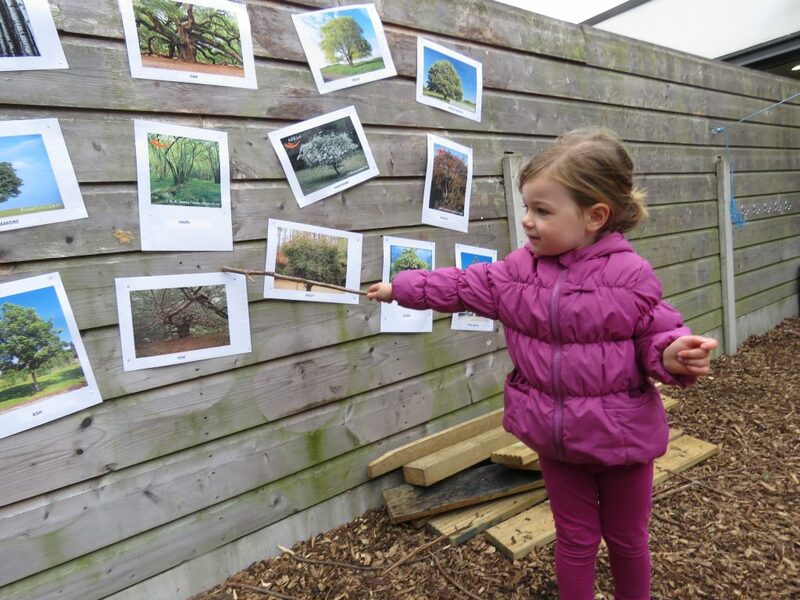 From outer space and dinosaurs, to animals and the seasons, our pre-school children explore a range of topics through interactive engagement with their environment. One of the best things about Park Academy Bray is it’s fantastic gardens where children can run, play and connect with nature. Exploration is encouraged through additions such as the gravel and sand pits, mud kitchens and water stations. 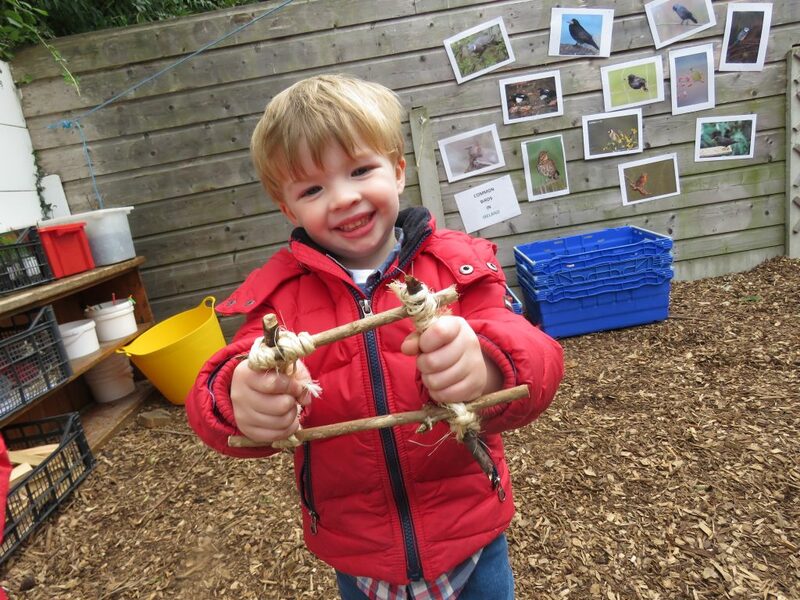 Imaginative play also extends to the outdoors where the children experiment with natural materials, using them to build their own boat or to make kitchen utensils as they play house. The children also have their own garden patch where they grow vegetables such as delicious sweet peas. This kind of first-hand interaction with nature provides children with a deeper understanding of how the world works and our role in protecting the natural environment. Contact with nature is also proven to have huge benefits for a child’s health and well-being. Such is the emphasis on outdoor learning at Park Academy that we have our own dedicated outdoor education team who lead all projects in this area. From woodwork and planting vegetables, to bird watching and rope work, children have the opportunity to learn about their environment and to explore a range of new skills. These activities are based on our Nature Kindergarten ethos and promote real world learning that is relevant to a child’s life. Our children in Bray are lucky enough to be close to The Nature Kindergarten, so they regularly enjoy trips to this fantastic facility. Our outdoor area is also the perfect place for the children to enjoy JUMP Programme and Coach Eamonn makes good use of the space available, whether that’s leading the tots in a march around the garden or setting up an exciting obstacle course for the older children. One thing is for sure though – little hearts will be pumping! ‘When we first heard about the new idea for a dedicated OWL area we were a little anxious, but definitely curious, about how our two boys, aged ten and six, would take to it. Well take to it they have. And they have taken to it wonderfully. Daniel and Samuel move freely from the creative room to the construction room, to the imagination room and back again, supported if necessary by the fantastic OWL team. But not before they get their all-important (and mostly always eaten!) dinners and their homework is done (very important for busy parents). We enjoy hearing about the interactions our boys have had with the younger children as we feel this encourages empathy and patience. (We also think they like the attention!) It expands their circle of friends in the crèche and they tell us how proud they are of their younger friends and about how someone has just learned how to potty train or to put their coat on by themselves. The boys love outdoor play and knowing the Park Academy values this ethos gives us great comfort. We know that, whenever possible, they will be outside. And there is not a playstation in sight!